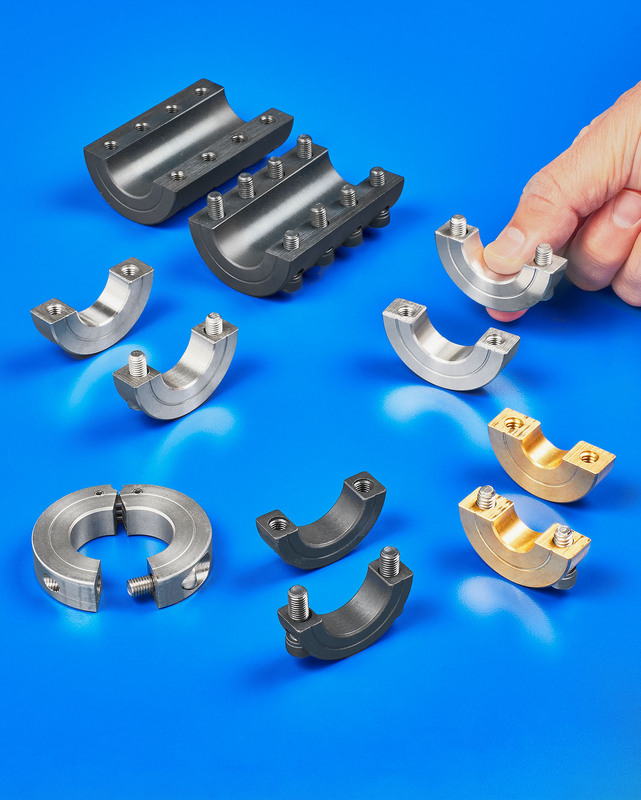 A new line of two-piece and hinged shaft collars and shaft couplings with captive clamp screws that eliminate lost screws and assembly issues is being introduced by Stafford Manufacturing Corp. of Wilmington, Massachusetts. Stafford’s Captive Screw Design has been added to their line of two-piece and hinged shaft collars and couplings to prevent screws from dislodging and eliminating the need for removing screws before assembly. Simplifying the assembly process, these special retention screws remove the potential lost screws provide the same clamping power as conventional loose screws. Developed to enhance the user experience, Stafford’s Captive Screw Design speeds assembly and repair operations. In the field it eliminates the risk of fumbling and lost screws ending up inside equipment and causing problems. Stafford provides 4,000 standard products ranging in sizes from 1/16” I.D. up and includes shaft collars and rigid couplings made from aluminum, steel, and stainless steel. Modifications and custom products are available. Stafford Two-piece & Hinged Shaft Collars and Rigid Couplings featuring the Captive Screw Design are priced according to configuration and quantity.